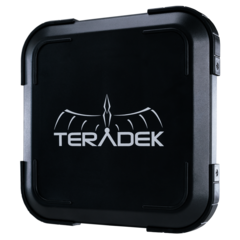 Teradek Bolt - Nelco Media, Inc.
Teradek Bolt wireless video systems transmit exceptional HD video at distances up to 10,000 ft. with no perceptible delay. Bolt XT is available in 500 ft, 1000 ft, and 3000 ft models and is compatible with 3rd generation Bolt systems, in addition to the Bolt LT and SmallHD Bolt models. 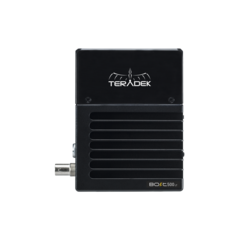 Bolt 10K is an ultra high-performance, zero-delay video receiver with a range of up to 10,000 feet. 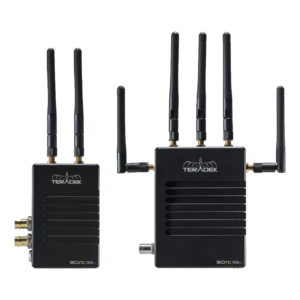 The RX is compatible with Bolt 3000 and 3000 XT transmitters and functions seamlessly alongside 3000 receivers, 3000 XT receivers, Sidekick II, and the 703 Bolt. Bolt LT is the essential, no-frills high performance wireless video system for filmmakers on a budget. The LT line is available in 500 ft or 1000 ft models with 3G-SDI or HDMI I/O and is cross compatible with Bolt XT, 3rd generation Bolt systems, and SmallHD Bolt models. Optional Sony L-series or Canon LP-E6 pass-through battery plates are available for both the TX and RX. The Sidekick LT is a 500 ft. universal receiver compatible with any Bolt 500, 1000 & 3000 (including XT and LT), making it the perfect compliment to any Director’s monitor rig. When it comes to monitoring on set, less is more. into a powerful, all-in-one handheld wireless monitoring solution. Connect your 703 Bolt to any XT, LT or 3rd-generation Bolt system. 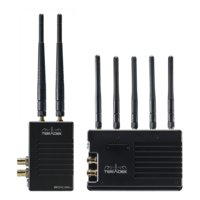 The integrated receiver (with up to 500 ft range) includes a built-in 5GHz spectrum analyzer as well as support for camera timecode and metadata. The 703 monitor features a 3000 nit 1920x1080 7” display and supports 100% coverage of the REC 709 color space. Perfect for monitoring A/B cameras or pre- and post-LUT footage, Dual View allows you to watch two input sources simultaneously, each with their own set of software tools. it can also simplify your workflow. feeds into your cart, Bolt has an answer. Bolt XT and LT offer integrated pass-through power options for both the TX and RX. 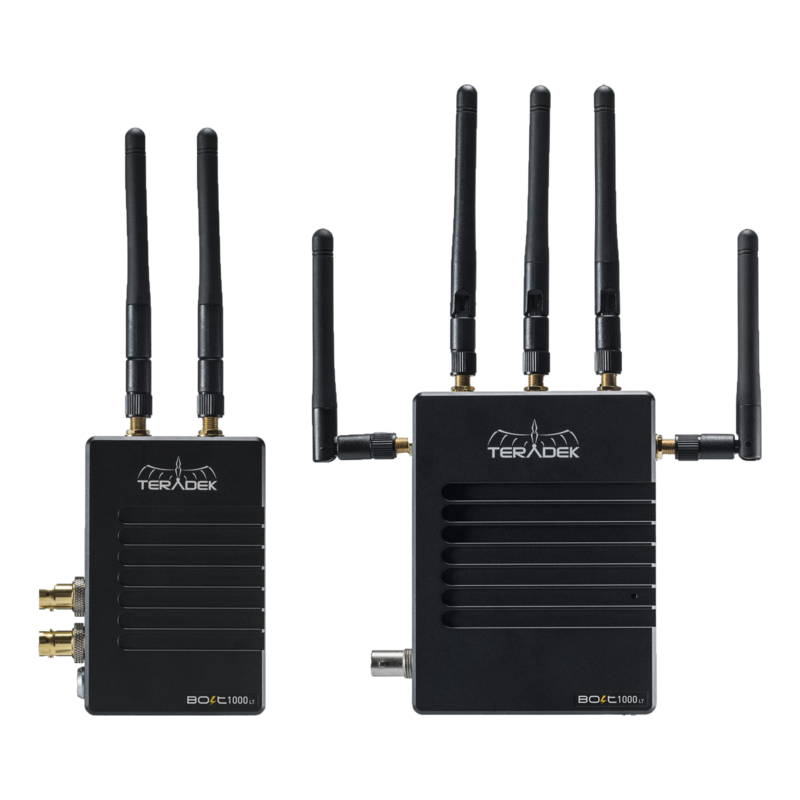 The transmitter for both lines and the LT receiver are compatible with Canon LP-E6 or Sony L-series battery plates, while the XT receiver is available with Gold-mount or V-mount plates. Integrated mounting options ensure optimal performance and quick set-up for your units. All XT and LT transmitters include a built-in ARRI 3/8" Pin-Loc , while 1000 & 3000 XT receivers include a built-in NATO rail. with mounting, power, and antenna accessories. running with optimal performance in no time.